You just never know what's going to prompt a great discussion. "You know your son is an Irish dancer when... he spends an entire Saturday at a high school doing Irish dance shows and playing soccer in the hall between shows with the other boys. Then, when the janitors tell the boys to not play in the hallway, they move backstage and play "Hangman" – with the names of traditional and non-trad set dances. :-)"
"I like this game! You know your son is an Irish dancer when...he becomes an altar server and you have to tell him NOT to point his foot everytime he bows!" This prompt took off in a big way, and it become one of the favorite things to respond to-- sometimes multiple times- by the mommas on the "Moms to Reel Boys" Facebook page. I took many of the responses, some were very similar, and then condensed and compiled the list to hold onto for our group. I love it, and I hope you will too! Feel free to add to our list in the comments or share with others! ~he and his dance buddies play hangman using names of traditional and non-traditional set dances. ~as an altar server, has to be told not to point his toe when he bows. ~you look up during Mass and realize you are not the only one who can see your altar server son sitting looking holy and still while his feet are dancing under his cassock! ~when he uses the freezer case doors at the grocery store as a mirror to dance in front of. ~ when you are awakened not by an alarm clock but the bah, dah, dah, dah, dum of your son dancing his treble reel at 6:30 on a Saturday morning not thinking others might actually want to be sleeping. ~when he gets yelled at for dancing in the outfield during a baseball game! ~when standing around as a goalie during a soccer game and starts dancing. ~when all the teens have popular music on their MP3s and your son has traditional irish dance music on his. ~when you catch him Irish skipping everywhere instead of walking. ~even the pencil sharpener provides rhythm enough for him to dance to. ~you can hear him rhythmically running through his steps in the shower. ~you look back in the car and can see him running through his steps with his hands. ~when they can sit looking perfectly still while taking a test while their feet are doing their dance steps under the desk. ~when you know that everytime you're anywhere and someone says, "Who's making all that tapping noise?" it will inevitably be your son as the culprit. ~it sounds like the ceiling is going to fall through. ~when your son starts walking like a duck because his teacher said it would help his turnout. ~you find him sleeping in his hardshoes because he's trying to break them in. ~you hear his teacher say, "if you want to win a sash, you have to keep your arms down!" ~your sons have a far larger collection of crystal bud vases than any red-blooded American boy needs! ~the girls in class say "Wow, your heels are really loud!". ~ his sisters see him slouching at the dinner table and yell out in unison, "Pull your shoulders back!" ~there is more crystal in his room than there is in the whole rest of the house!! ~he says, "Mom, seriously, more rhinestones!" while standing there with dirt on his tennis shoes. ~ he incorporates that turn/spin move you see in Reels AND bicycles into his soccer game and the coach yells, "Wow! Whatever that was... was awesome!" Then the other boys try it too! ~he's told by dad to stop dancing in the bathroom. ~when his hair becomes a new artistic medium that can defy gravity, front clicks, and overs! ~when he gives impromptu shows in the aisles of stores to the shock and applause of shoppers. ~when he's excited to wear shoes with heels. ~any hard floor becomes a surface to dance on. ~you can see his feet twitching when he sleeps, and you know that he is dancing in his dreams. ~when your son already knows how to iron his dress shirts and shine his shoes at an early age. ~when he has a standard reply ready for all the people who ask if Irish dance means he dances like they do in "Riverdance". ~he relishes a new roll of duct tape and some new elastic bands! ~when you have to say at least once a day "NO dancing in the kitchen"
I'll admit that several of the responses are mine. However, even though many were not come up with by me, nearly all of them could be applied to my life and past experiences as a mom to an Irish dancing boy. I'm sure if you have your own Irish dancing young man or not so young son or nephew or grandson or friend or brother, etc, that you have your own answers to the prompt: "You know your son's an Irish dancer when..." I'm sure many of our answers to the prompt could also be said by you or someone you know. Hope you enjoyed our list. 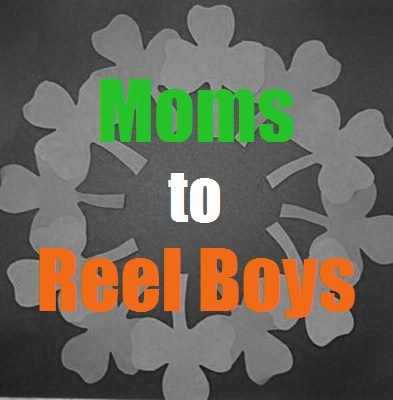 Feel free to let other mommas of Irish dancing boys know about the Facebook page just for them called "Moms to Reel Boys". We're a supportive, positive, sometimes humorous, generous, lovely group of fabulous moms of Irish dancing guys!